This page also appears on our sister site NC Tripping. The Mountains of North Carolina run through Asheville, a unique and quickly growing community. 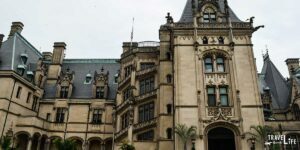 It’s one of the most wonderful places to visit in the USA, not just North Carolina and if you don’t already plan on moving there or into Biltmore Estate, at least give it a weekend. 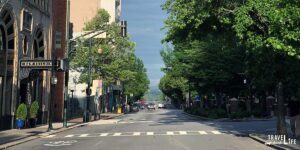 There are some really fun things to do in Asheville and around, from exploring the area’s food and beer scene, learning about its River Arts District, and digging into the beautiful outdoor spots that surround this awesome travel destination. We’re always on the lookout for places to visit in Asheville and will continue sharing what we find with you. If there’s something you’re looking for and can’t find on our blog, please contact us and let us know about it. 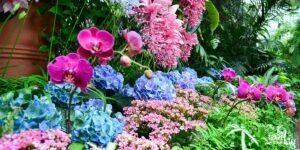 You can also reach out to our Facebook Group. We also welcome any travel writers who would like to contribute your own Asheville travel guides with a specific city, location, hotel guide, something that might fit into our People Who Travel, Baby Travel, or Travel with Kids sections, or anything else. Send your idea our way because we’re always excited to collaborate! Regardless of what you’re looking for or hoping to contribute, we’ll be happy to work with you.